The building information modeling concept is revolutionizing the architecture industry. You likely hear a lot about building information modeling — or BIM — and may wonder exactly what it is. While many have an understanding of its principles, the truth is that this somewhat nebulous concept has many components and can mean different things to different people. Sometimes answers can end up simply generating more questions. Architecture has been around for thousands of years and has undergone innumerable changes and advancements during this time. But at its core, all forms of architecture have one thing in common — the planning and creation of a structure. And while we usually think of this structure as being a building, this doesn’t necessarily have to be the case. It can be a highway, a dam, a railroad tunnel, or one of a million other structures. Like the waterfall versus agile methodologies, BIM is a concept that can be adjusted based on the project and the users but must incorporate certain elements into its nucleus. Architects have been using CAD — computer-assisted design — tools for decades. Some of the most popular include AutoCAD and Siemens. CAD programs and applications are used not just in architecture and engineering, but also in other creative industries such as animation and fashion. In a way, it has replaced the pencil and paper in these professions. The difference between the industry when it used traditional drafting tools and what it became after the dawn of computer software is staggering. Some of today’s structures simply would not have been possible to create without the help of CAD. The contemporary architect must marvel at 20th-century architecture and construction the way modern man marvels at the pyramids or Easter Island or even the Panama Canal. How was it possible to achieve these feats without the aid of power equipment and tools? 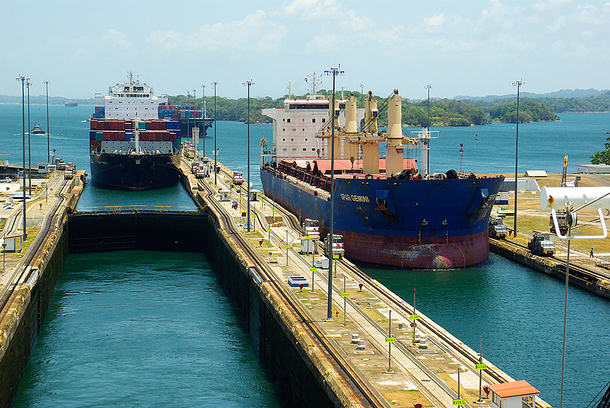 The Panama Canal was finished in 1914 — long before any modern machines were available. It may stand to reason that the dawn of these inventions would save the industry untold time and money. And in a way it does. But it also makes ever-more-impressive structures possible. And it’s the promise these possibilities hold that makes each structure more complex than the last. With the help of CAD software, you could design and build 20th-century buildings in a fraction of the time it took architects back then. But the depth of possibilities CAD provides prompts architects to do more than they ever thought possible. So today it might take even longer for a building to be designed than it did 50 or 100 years ago, simply because of the complexity the programs allow. This software will only continue to improve and offer even more capabilities to allow architects to achieve greater heights — literally and figuratively. The types of 3D models architectural software make possible today are an integral part of the BIM process. Once a prototype of the structure is created, dozens or even hundreds of professionals weigh in with comments and advice relative to their areas of expertise. From this, the model can be adjusted and improved. This process can continue until the team achieves a model structure as close to perfect as possible. While the idea of working together to build a structure isn’t new, using BIM can make the process faster and more efficient. Oftentimes strategy meetings at architectural firms are filled with competing ideas, with everyone hoping theirs will win. Models are built, some are rejected, and others accepted. The process can be long and filled with emotion. But with BIM, the final design the team chooses is just one of many beginnings. Input from other professionals is collected quickly and simultaneously, allowing for revisions before mistakes become problems. This greatly speeds the process of achieving the final design. Using BIM to integrate scheduling and estimating processes from the beginning greatly helps in minimizing the time it takes to build a structure and accurately predict costs. All too often, cost estimates are compiled with the best of intentions, but overruns end up adding significantly to the project. Since cost and time overruns are so exasperating for owners and developers, construction teams may be tempted to rush or use inferior materials, resulting in a building that doesn’t match the design at best or is unsafe at worst. Design-build firms can have an advantage when using BIM because they include all the players in the project from start to finish. They all work for the same company. Everyone is under one roof, so when there’s a question or a problem, all they need to do is walk across the hall instead of leaving a message and waiting days for a return call. It’s huge time-saver. Moreover, when the building team is onsite and involved from the very beginning — versus being handed plans completed without their input — a better product is virtually guaranteed. BIM reduces the odds that the plan doesn’t match the physical reality. Architects have always worked alongside builders, but it can sometimes be a difficult or even adversarial relationship. A design-build firm can use BIM to adjust designs along the way to take cost and scheduling into consideration. After all, designing a building is only half of the equation. Building it is the other half. The architects know how they want the building to look, but because they don’t do the actual construction, they might be unaware of some stumbling blocks that can prolong a project. These can be technical aspects, such as needing to complete A and B before moving on to C, or there can be other extenuating circumstances. A construction manager might be aware that there is a local shortage of a particular material. It will thus be necessary to plan for the extra time and money it will take to source the material elsewhere. Or the architect may substitute another material. The scheduling manager’s job is critical to the outcome of the project, and it’s constantly changing. At the outset, a schedule is created that must take into consideration careful coordination of all the trades. This may end up changing frequently. Permitting, for instance, is a huge part of construction, and it can mean the difference between an on-time project and one that is months overdue. While securing a building permit in one county might take a few days, it might take weeks or even months just one county over. With BIM, the coordination of all team members makes information like this easier to get. 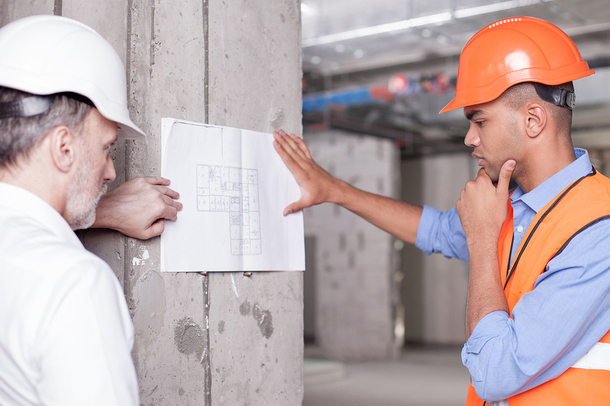 Schedulers must have contingency plans for making up the time when a contractor is late or unprepared. Experienced schedulers are better at predicting problems that come with using contractors and are indispensable when multiple contractors are onsite simultaneously executing their work, especially when deadlines become tight. Concurrently, a cost estimator will work on compiling the expenses for time and materials. Everyone wants to minimize downtime. Waiting is expensive. And it’s not just the wasted labor costs; it’s the cost of not being able to use the building. An apartment building that is supposed to be completed April 1 but isn’t done until Oct. 1 means six months’ worth of rent lost — potentially millions of dollars — for the owner. Thus, cost and scheduling managers must work together closely. A project starts to unravel when the framework, electrical, plumbing or other jobs run longer than expected and the finish crews are left waiting. Having a strict timetable and a manager to monitor and revise the schedule accordingly are critical in meeting budget and time estimates. Owners or developers who might be new to the field can be unaware of all the possible obstacles to completing a building project. BIM can help a firm make it look like there aren’t any obstacles. Collaborative tools are an integral component of BIM. Progress reports and regular checks are necessary. In the old days, you would have to track down the construction manager or leave a message with a receptionist using a landline. Today, the manager can know at the start of the project what needs to be done when and upload progress reports that any team member can access at any time. When owners get regular updates using models and participate in scheduled walkthroughs, it cuts down on errors and requests for changes. To use a simple example, if an owner sees the walls painted red, they might object. Whether it was the contractor’s mistake or the owner just changed their mind after seeing the color, it will need to be redone, and this will take extra time and money. If the owner sees the paint ahead of time or sees one wall completed and hates it, the change can be made faster and more cheaply than if you wait until all the walls are red. Using BIM doesn’t end when the product is delivered. Models and renderings can be handed over to owners to use in the management of their new facility. They can use these tools to monitor their building’s performance and to create and follow a maintenance schedule. They can also be used to flag repairs that need to be done and help plan and execute these repairs. 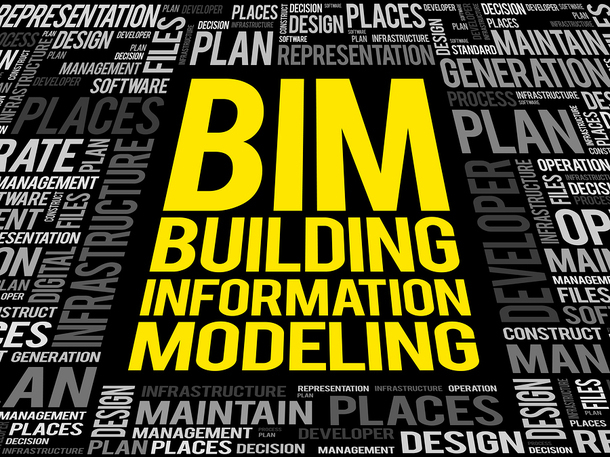 BIM software can demonstrate an entire building’s processes and functions. From this, owners and managers can more fully understand how to achieve optimal operations, allowing them to better recognize and correct any deviations. Because so many professions are involved in the creation of a building, and since each has their own outlook and opinion on best practices, methods and processes can vary. Further, different modeling systems, software, practices and processes can produce markedly disparate results. While the very existence of collaboration is helpful, establishing some baselines from which to begin can further improve and streamline processes. This industry group is working toward uniting all systems, programs, and specifications within a single platform. Thus, while different professions can use the tools that are best suited to their work, they are no longer laboring in isolation. All parts are connected. Such guidelines are helpful not only in defining and standardizing the process but also in making bidding fairer. PDH Academy offers AIA continuing education courses to architects, engineers, and construction contractors, including “Simulating a Complete Building Envelope Through BIM.” Fulfill your licensing requirements with our online courses for architects.